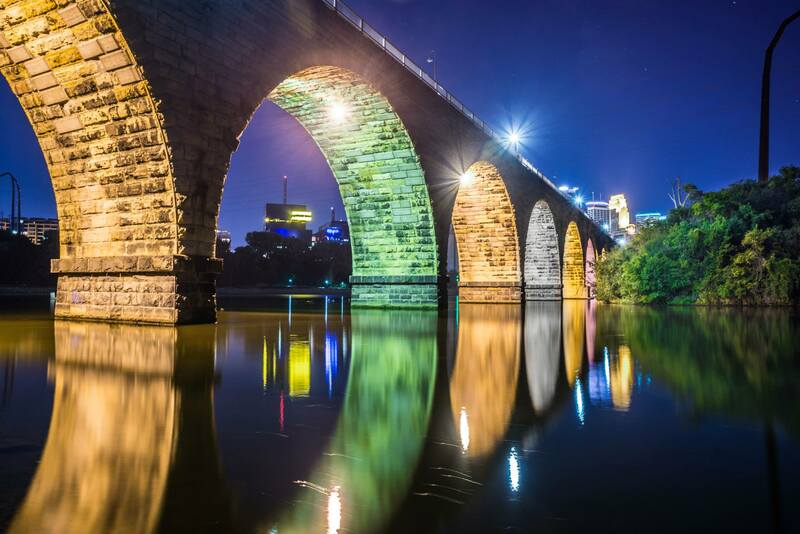 One summer night I and some friends stopped by this stone arc bridge on Mississippi river. When we were walking along the river, I was suddenly attracted by the structure of the bridge – a perfect combination of curve and the straight bridge edge above. I snapped the picture, just as they were without any editing. Later whenever I looked at the picture, I always remember a Chinese proverb, the world is built by mixing curved shapes and straight lines, with certain norms and standards. Such a pretty picture..love all the colors! stunning shot! makes me want to stay and stare for ever. Lovely. I like how the circles and leading lines work together. Lovely composition, the really like the blurred reflections in the water, it’s so interesting to look at! That’s a beautiful photo and a wonderful response to the challenge. I like the different colours under each arch. Great composition. 🙂 Great entry. I have something very similar in my entry. Great photo. Love the colours and the reflections. I really love this. I’m linking to it so my readers can enjoy as well. In fact, it’s a superstructure. Beautiful use of the lighting in the arches. The reflections really make this photo stand out.